Labour Day was celebrated in St. Soldier School , Mohali. 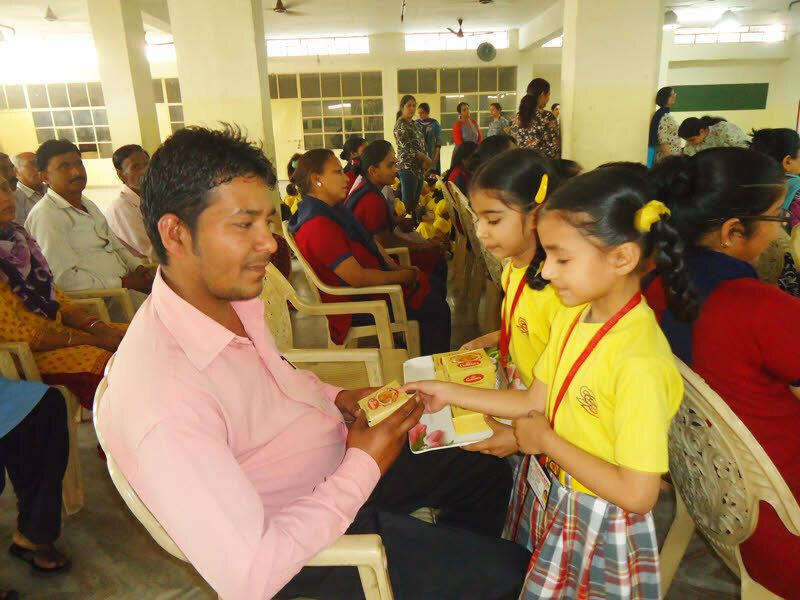 The tiny tots of Class II-C under the guidance of Ms Monika Singh honoured and thanked the Class IV employees of St. Soldier School Mohali including the maids, sweepers, gardeners, gatekeeper and caretaker. A special assembly was put up by them to enlighten the audience about the significance of the day and the importance of helpers in our lives . In the skit they stressed on the importance of being educated to avoid exploitation by employers. They recited a poem and sang a song ” Hum mehnatkash is duniya se jab apna hissa maangegein “. Senior students under the guidance of Ms. Inderjit Kaur of Class VIII-A apprised the audience when and how Labour Day is celebrated all over the world. They also stressed the importance of doing the work themselves.They ended the assembly by singing the old number “Saathi Haath Badana “. presenting them with handmade greeting cards, flowers and gifts. The helpers were later treated to refreshments and snacks. Principal Vinender Tiwana along with Headmistress Amrit Kalsi and Vice Principal Anjli Sharma also expressed their gratitude in their speeches.